If you’re in need of engine repair in Sandy, UT Master Muffler is equipped to take care of any problem you might encounter. Our technicians have the knowledge and experience to properly diagnose and fix your vehicle’s engine. 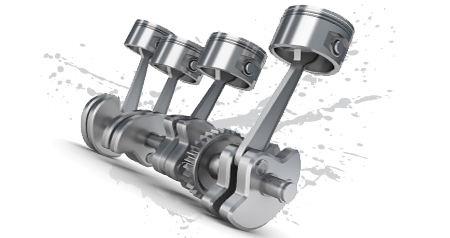 The engine experts at Master Muffler, Sandy can address your engine issues, however, the best way to take care of engine problems is to do it before they happen. When you bring you car into Master Muffler for any regular maintenance, will do quick inspections to let you know if their are any developing problems you should be aware. That way, you can address vehicle issues before they turn into problems. In the unfortunate event that you do need engine work or emergency service, Master Muffler Sandy will be there for you. We’ll work hard to get your vehicle fixed as quickly as possible so you don’t have to make special arrangements or live through other inconveniences while you vehicle is being repaired.